i love books, i love spending time with wonderful women, i love thoughtful discussions, i love good food, and i am so loving our newly formed book club. latest read was “Walking After Midnight” by Katy Hutchinson. while not an enjoyable read for all, it certainly sparked some thoughtful and reflective conversations. 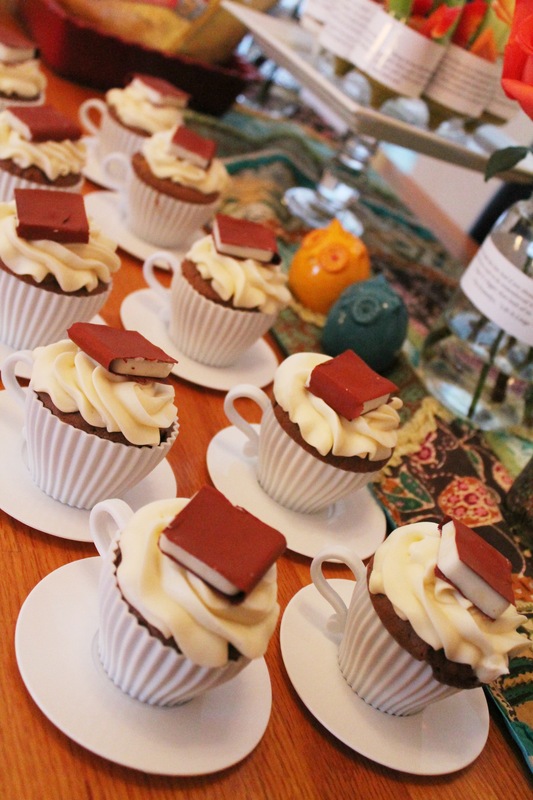 just posted our recent book club DIYs on Catch My Party. pop on over and have a look ! i forgot to take photos of all the elements coming together ! – VERY unlike me – i am a kind of instagram fanatic ( and as people started coming in, i was like, oh no!!! and internally so sad but didnt want to look like a weirdo and start snapping picks. a weird internal battle ! ) i was too busy keeping my kiddo away from the cupcakes before bedtime ! inspirations for the decor came from here and here and here and here. get ready people, first post from Mel coming tonight !